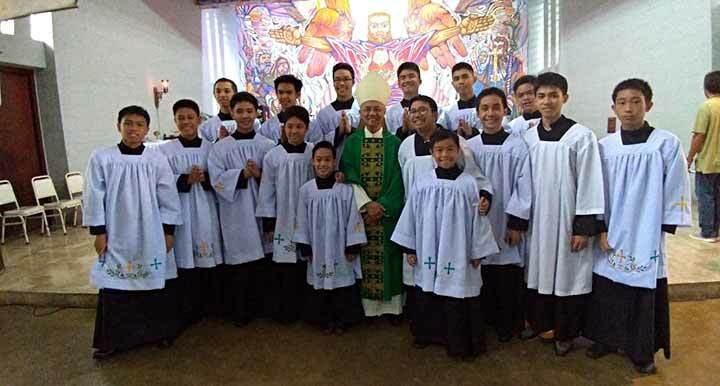 Victorias, the Philippines, 9 September 2018 -- Bishop Patricio Buzon, SDB, of the Diocese of Bacolod held his pastoral visitation of the St. Joseph the Worker Parish in the days 8-9 September. 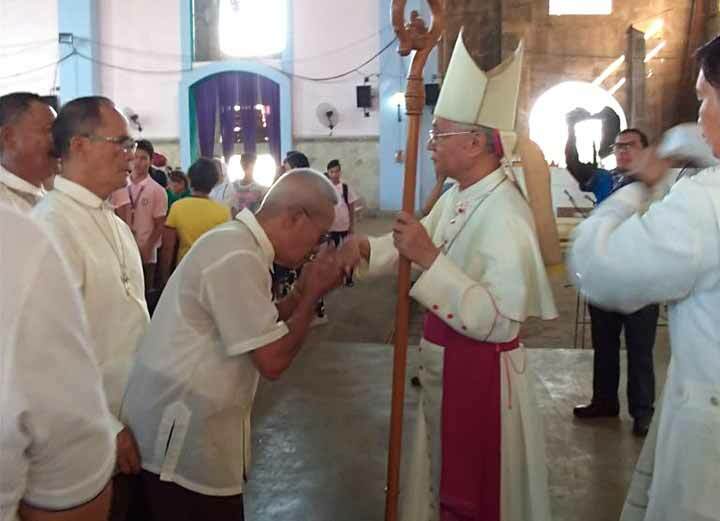 He was warmly welcomed by parishioners in a motorcade from the national highway until the Mary Help of Christians Church, where he canonically opened the visitation. Fr. Donato Ofina, SDB and his parish council welcomed the bishop. Bishop Patrick spoke of how each pastoral visitation is not just a physical visitation of the prelate but the visitation of Christ Himself to His people. Such privileged events, according to him, are moments of grace for the community. The bishop stayed with the parish for two days, from Saturday to Sunday. The last pastoral visitation was back in 2002. On Saturday, the bishop celebrated mass at the Mary Help of Christian church followed by a conference with the pastoral council and representatives of mandated organizations. 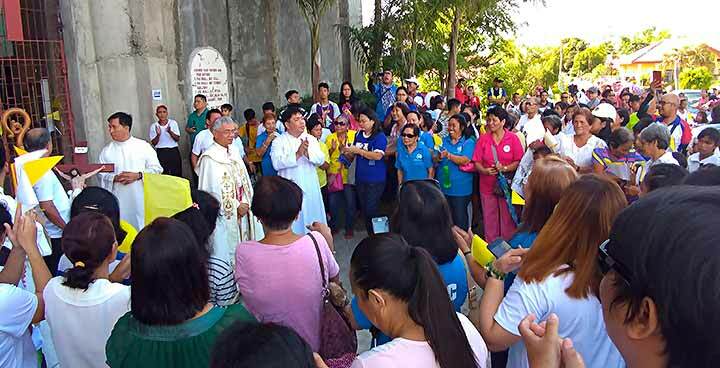 The following day, the bishop celebrated mass at the St. Joseph the Worker church, visited the sick, and encountered the community of the Binanlotan chapel and the FMA sisters of the Laura Vicuña Women’s Center in Malihao. He was very much impressed with the dynamism of the people. In the afternoon, he spent two and a half hours with the youth of the parish to listen to them and talk to them. 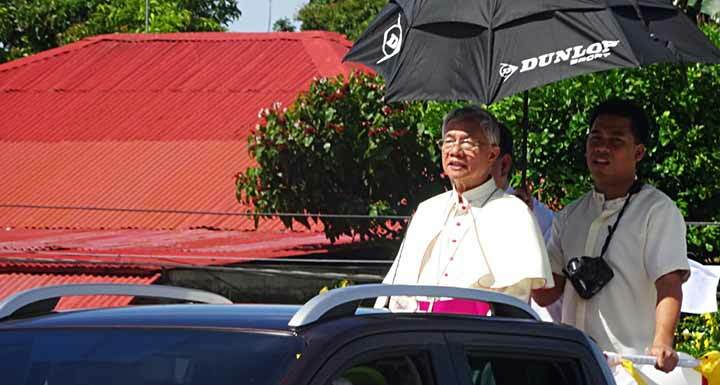 He ended his visit with a conference to the Salesian community of Don Bosco Technological Institute in Victorias. 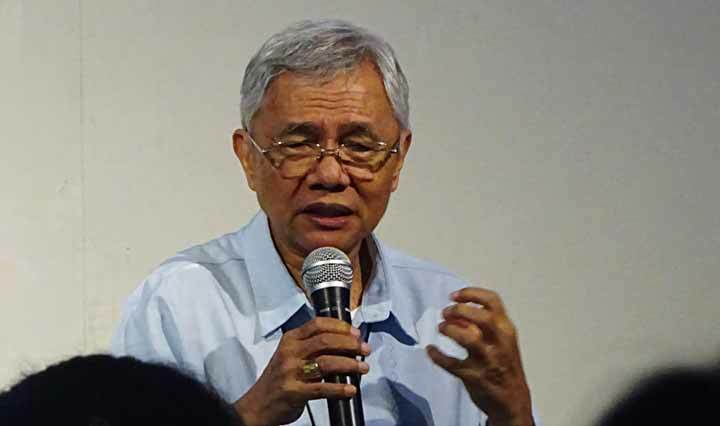 Bishop Patrick Buzon, SDB is a former provincial of FIS province, who did previously an annual canonical visitation in the same parish and Salesian community between 1998 and 2002. Your prayers for the diocese of Bacolod and its shepherd are requested!